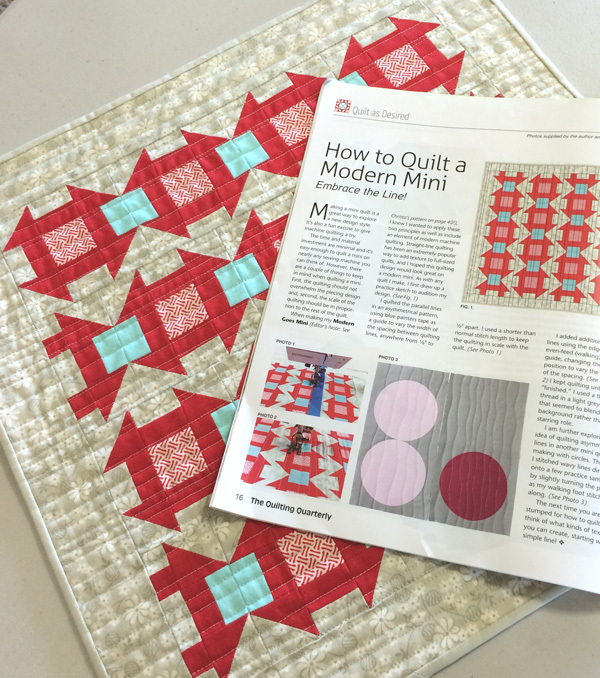 I made my modern Mini Churn Dash quilt for the National Quilting Association’s Quilting Quarterly magazine. 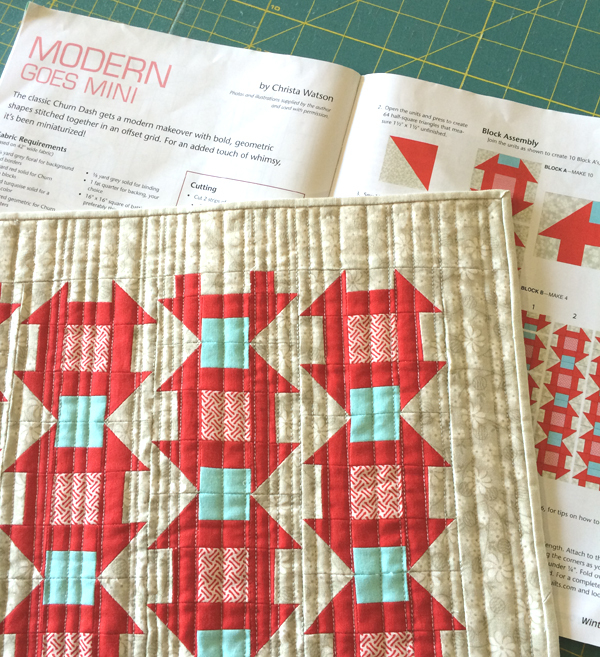 I’ve been enjoying seeing quilts made with churn dash blocks and am so glad I was able to combine two trending ideas, mini’s and churn dashes into one quilt. 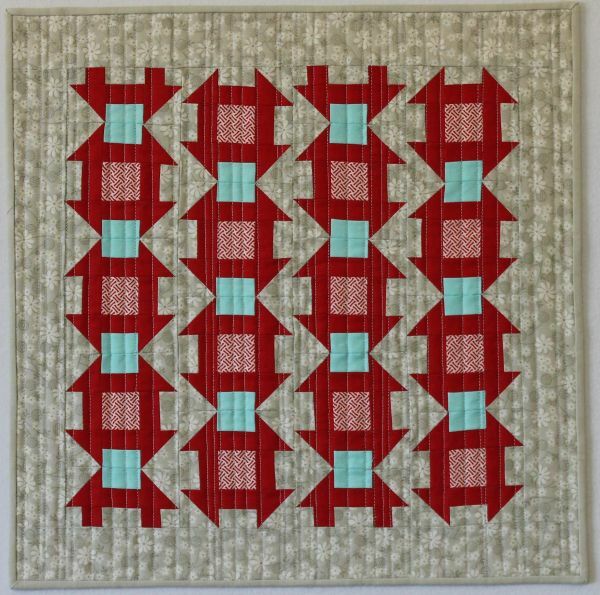 PDF pattern available for sale here.